The 2017 reboot of the franchise looks to capture what made the original games so unique while knocking things up a notch for the modern crowd. The duo hits Earth once again and must retrieve parts of their ship so they can fly home in peace. Naturally, all sorts of things hinder their progress, from dancing hula girls to invisible boogeymen. Back In The Groove's world is filled with presents, enemies, and nooks and crannies to explore. The highlight of the experience is a two player local co-op mode that lets you and a pal sift through the stuff of Earth as a pair. 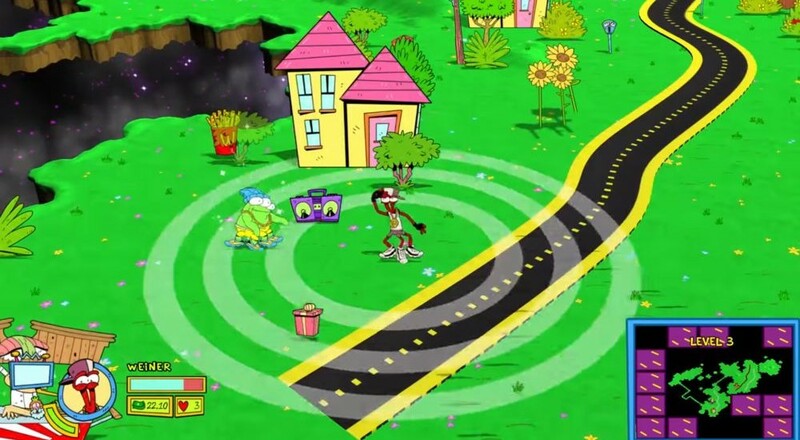 Details are pretty scarce at the moment, we just know that HumaNature Studios is developing with the original ToeJam creator Greg Johnson at the helm. Look for a tidy PC and console release by the end of 2017. Page created in 1.6862 seconds.